Raise the bar – without raising costs. 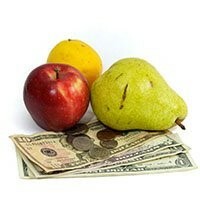 Are you looking to improve meal satisfaction while staying within budget? Are you and your guests pleased with your menus, or do you find yourself often making substitutions? Do you have successful food safety and sanitation systems with a history of passing inspections? Got challenges? BSN Solutions can help. Assist with the transformation process to a self -directed dining approach and improve techniques in food preparation to enhance the flavor and visual appeal of your meals. Implement the “food first” concept instead of costly commercial supplements for people who need supplementation to maintain a healthy weight. Provide training in multiple areas including Food Safety requirements for Occupational Safety and Health Administration (OSHA); the U.S. Food and Drug Administration (FDA) Food Code guidelines; and the National Food Protection Manager training & certification. Cost control is much more than looking at invoices and finding cheaper products. In this era of rising food cost, increased demands for meal choices, and competitive environment, your success depends on maintaining a balance between cost and quality. Our consultants start with the basics and evaluate systems for food purchasing, preparation, and delivery and then provide you with a step-by-step action plan. BSN Solutions will also conduct resident and staff interviews and meal observations to assess the overall dining experience. Allow us to help you nourish the body as well as the soul of the people in your care community by honoring individuality. Learn how our client, Florida Baptist Retirement Center, successfully balances food cost and quality. We offer a variety of food safety resources to our clients so that safe food handling and hygienic practices follow the guidance of the FDA Food Code and OSHA requirements. BSN Solutions works with ServSafe and the National Registry of Food Safety Professionals (NRFSP) to provide National Certified Food Protection Managers (CFPM) course, exam and certification. We believe it is essential for seniors to balance healthy eating with enjoyable eating, which in the long run is proven to promote better health. 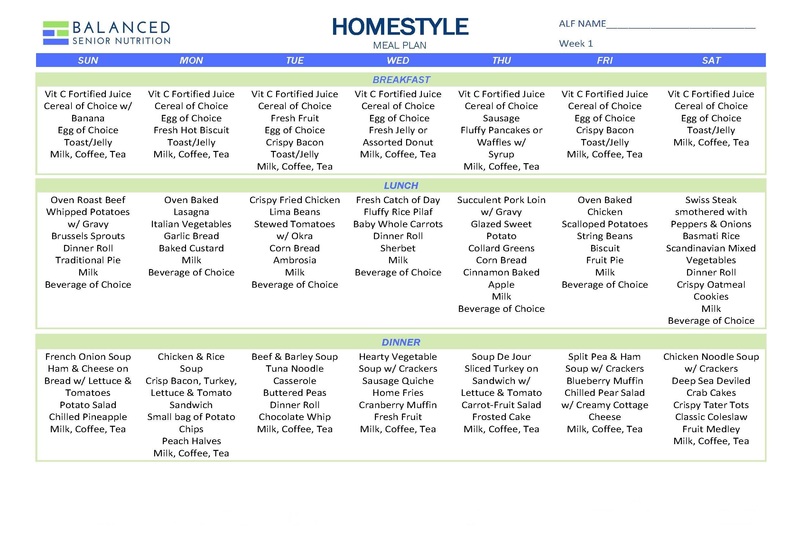 Standardized menus available from major food vendors may not always meet the individual needs of your community’s physical limitations, mission statements and or clientele. Customized Menus are designed to fit your clients’ preferences as well as meet USDA Dietary Guidelines for “BSN Solutions”. By offering menu options, we help you provide a variety of food choices. This increases client satisfaction while decreasing plate waste. True or False? More and more state legislatures and courts are refusing to allow the introduction of evidence-based clinical practice guidelines (CPG) as proof of applicable standard of care in a civil lawsuit. Do you want to try serving real food first instead of handing out costly supplements that most people don’t even enjoy? We would like to give you a free copy of our Real Food First Supplement Replacement Tip Sheet. It contains alternatives to supplements with calorie and protein counts.